Just a short post because this first fund-raiser for the FHW shouldn’t go unrecognised …though you’ll have to take my word for how great everything looked because I was too dim to take any pictures. Have you got any? 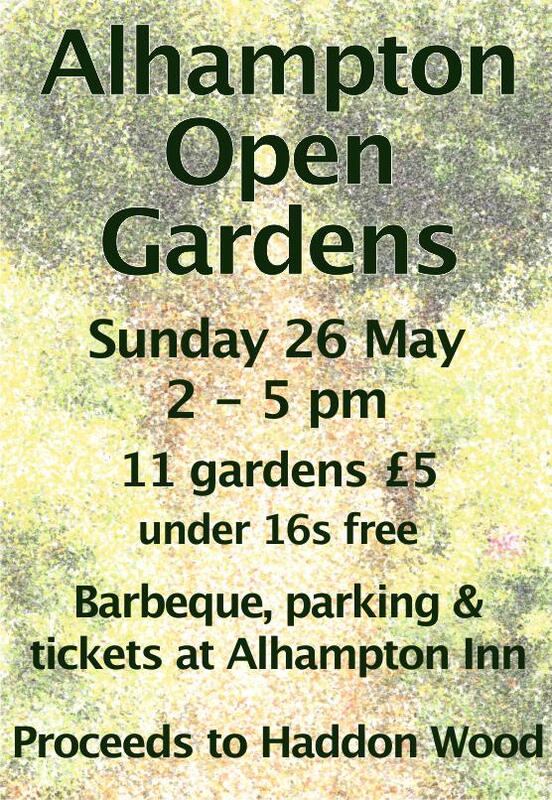 For the first time in recent history the Open Gardens day was run separately from Alhampton’s village fête (on Saturday, 20th July) this year, because in previous years people have said they hadn’t enough time to get round them all. This year Hil Harrison suggested that the money raised be put towards the extras that local people want to be included in Haddon Wood – the wild flower meadow, wildlife pond and orchard – and managed to persuade 11 gardeners to open their gardens on Sunday of the late May Bank Holiday. Whether it was because The Woodland Trust had been on BBC Somerset Radio talking about the wood before the first planting, or because it was a Bank Holiday, or because of the barbecue on offer at the pub, or the weather, or even because Charles Dowding agreed to open his new organic, no-dig garden, there was a fantastic turnout. Despite the cold spring putting things back at least three weeks, the day itself was sunny, the gardens all looked fantastic, Rose’s photographic exhibition in the tin chapel was much admired and we raised £723! A great achievement for such a small village. I can’t help wondering how many people only came because two of the gardens were offering tea and cake though…. Categories: Uncategorized | Tags: Alhampton, Bank Holiday, Haddon Wood, Open Gardens, Woodland Trust | Permalink.